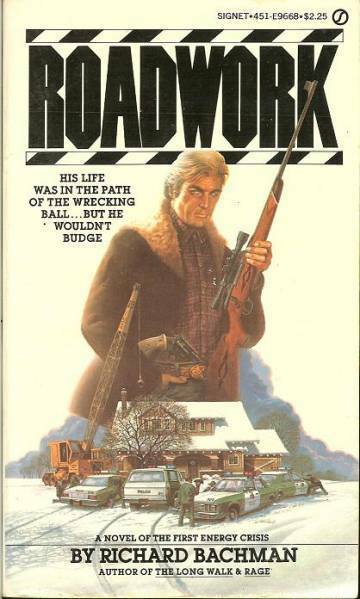 Roadwork is a novel by Stephen King, published in 1981 under the pseudonym Richard Bachman as a paperback original. It was collected in 1985 in the hardcover omnibus The Bachman Books. The story takes place in an unnamed Midwestern city in 1973–1974. Barton George Dawes, grieving over the death of his son and the disintegration of his marriage, is driven to mental instability when he finds that both his home and his business will be condemned and demolished to make way for an extension to an interstate highway. The major theme is the transience of human existence, and the lack of permanence as a failing of a maturing society.